Jack frost had arrived. After crawling out of bed and slipping into my slippers, I snuggled up with an oversized sweater on the couch before the kids woke up. The hot, southern, summer days were gone and our heat had finally decided to kick on. My husband and I had been living in this home for a few years now and were used to the chilly mornings of late fall. Our house guest was not. When she continued to comment about the cold, I gently encouraged her to be thankful instead of complaining. The look on her face will be etched in my mind forever. It never occurred to her that she was complaining. In her mind, she was just stating the facts. The reason I won't forget this moment is because there are plenty of times in my own life when I don't even realize that I am complaining. I am simply stating the reality of what is going on. But, when I was on the receiving end of the complaining of the cold weather, it certainly did come across as ungratefulness. 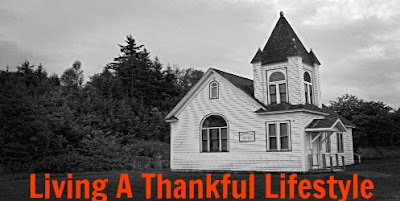 "In everything, give thanks," (1 Thessalonians 5:18). On the days that homeschooling is tough... "in everything, give thanks." On the days that things don't go my way... "in everything, give thanks." On the days that my husband is late from work and the baby is crying and the older ones are cranky... "in everything, give thanks." When I went to Israel and Egypt and physically saw the possible route that the Israelites had wandered in throughout the wilderness I was shocked. How in the world could they have been stuck in this small area for an entire forty years? Physically, they could have entered the promise land much, much sooner. Why didn't they enter? Because of their murmuring and complaining. Do you ever feel as if you are going around in circles in your own life? I know that for me, there have been certain parts of my life that I just needed to get over. I just needed to get on with my life and stop grumbling and complaining about it and instead, do something about it! Thankfulness is powerful. Let's remember to count our blessings this season and be thankful for what we have rather than resentful for what we don't. If you are looking for resources to teach your children about thankfulness check out these from the Rainbow Resource Center.